In the context of the Voyage around my Room group exhibition and publication, poets Theodoros Chiotis and D.I. (Dimitra Ioannou) will present a reading night in the Athens Municipality Arts Center. During the event texts from the new publication accompanying the show, as well as works on the notion of room by contemporary writers and poets, will be read. Artist and writer Jeanne Graff, will be in Athens on the occasion of the event, courtesy of the Embassy of Switzerland in Greece. 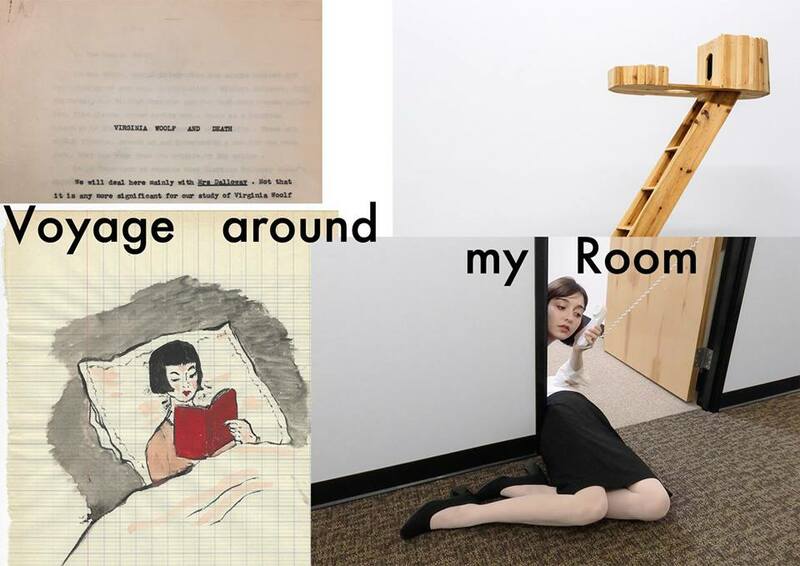 "Voyage around my Room" embarks from Virginia Woolf’s legendary essay “A Room of One’s Own”, written in 1926, and its relevance to newly introduced sociological and political concepts like digital feminism and the #metoo movement. The room (ma chambre), personal space as described in Xavier de Maistre's classic book "Voyage Autour de Ma Chambre" (1794), where the title derives from, as well as concepts such as privacy, autonomy and self-expression are key points of reference to the exhibition works created by international contemporary artists and writers. The exhibition and publication attempt to initiate a new discourse on the notion of room and personal space in continuation to the discussion that originated in classic essays and works of literature. Contributors to the publication are Sam Albatros, Theodoros Chiotis, Maria F. Dolores, Philomena Epps, Jeanne Graff, D.I. (Dimitra Ioannou), Antonis Katsouris, Sharon Kivland, Kika Kyriakakou, Sylvere Lotringer, Antonia Marsh, Efterpi Mitsi.